In 2017 Everything Financial began taking part in the Fraser Valley Family Day at the LEC Fieldhouse. The event provides fun and games for children and their families with all proceeds donated to various charities such as Life Ready Foundation, Basics for Babies, Kimz Angels, The Virtue Foundation, and the TOL Firefighters’ Charitable Society. Players from the Langley Rams, Vancouver Stealth, Vancouver Giants, and ex CFL Stars are also on hand to take pictures with their fans and throw the football around. We look forward to being part of this event every year to help raise money for those in need. 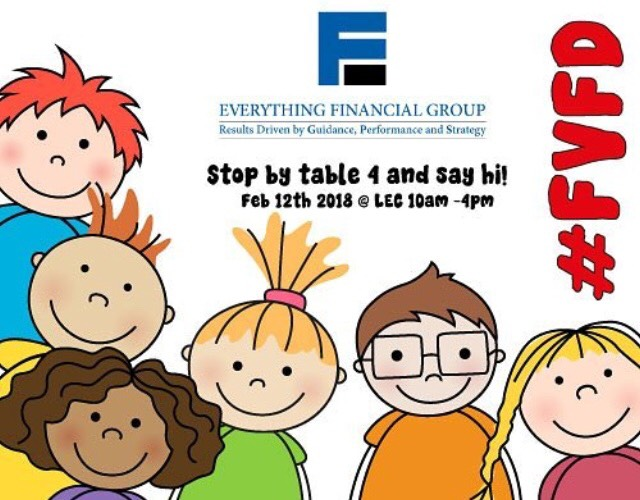 Everything Financial Group attended the Family Day Event at LEC on February 12th, 2018 to celebrate a day of family fun and raise money for local charities. From the public skating session and various games and crafts scattered throughout the concourse, to the meet and greets with the Langley Rams and the Vancouver Giants, there was something for kids of all ages. Thank you to C&D Logistics for all their hard work making this event such a huge success. We’ll be back again next year!